Fifteen South Metro firefighters are currently battling cancer, matching the national trend. Firefighting is physical, stressful and tough. Through all of it, South Metro Fire Rescue Assistant Chief of Operations Troy Jackson keeps the mood light. He’s seen a lot of fires in his nearly 30 years career with SMFR. “We're doing everything we can do to get our people to go home safely,” he said. He knows the honor behind wearing dirty gear. 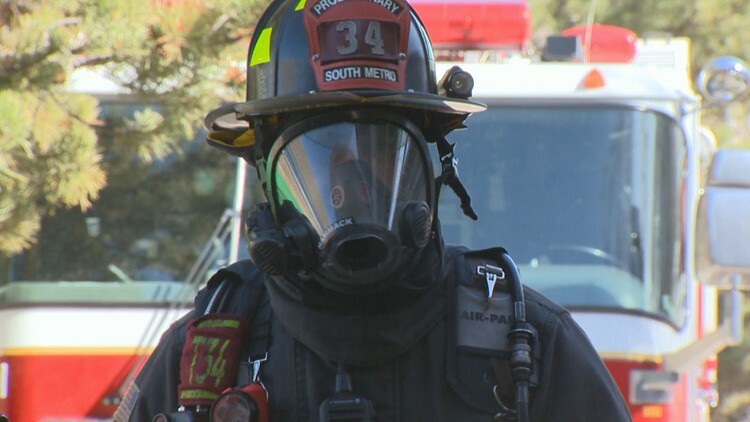 South Metro Fire Rescue Assistant Chief of Operations Troy Jackson works to change the culture of firefighting. “We wore that as a badge of courage,” Jackson said. 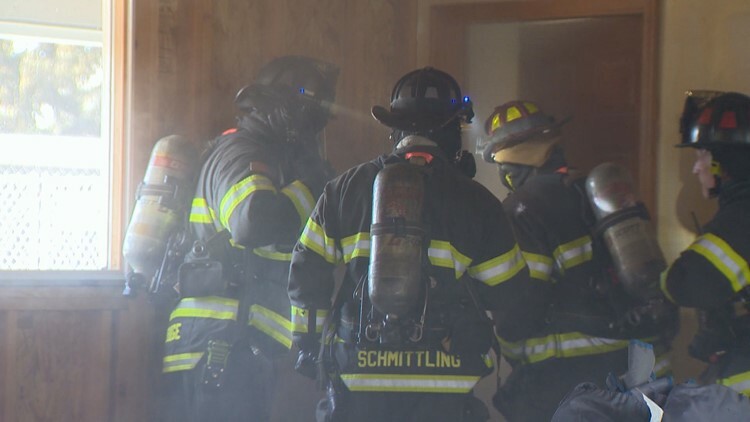 Their new protocol is straightforward, including washing off right after a fire, change out of dirty gear right away to stop carcinogens from the smoke and exhaust from their trucks form settling into their skin. “The most important change we are seeing today is awareness,” Jackson said. It’s a training to reverse a difficult pattern. Fifteen South Metro firefighters are currently battling cancer, matching the national trend. “Anytime you learn, you wish you learned that lesson earlier in life. We're maturing as a fire service,”Jackson said. It's a lesson he wishes he’d learned years ago for the sake of his co-workers and for himself. “Having cancer gives you patience,” he said, waiting for a CAT scan at UCHealth. For a man who’s made a career out of beating the clock, the chief now starts his week sitting, waiting and joking. He was diagnosed with adenoid cystic carcinoma five years ago when doctors found the first tumor in his trachea. He’s endured chemo, radiation, surgeries and a whole lot of needles. “The doctors know I will die from this cancer. What that timeline looks like for me is a little hard to say. We hope that I get lucky that it will be further out into the future. Most likely I won't live past another 10 to 15 years,” he said. The chief said it’s obvious his cancer is from firefighting because it’s so rare and started in his airways. “If I could go back and do it all over, I wish we knew the impact carcinogen would have on us during our career. I wish that we knew that walking around with dirty filthy gear was not good for us and having it in the station and on the rigs,” Jackson said. Cancer risks for firefighters weren't well-studied until the last few years. 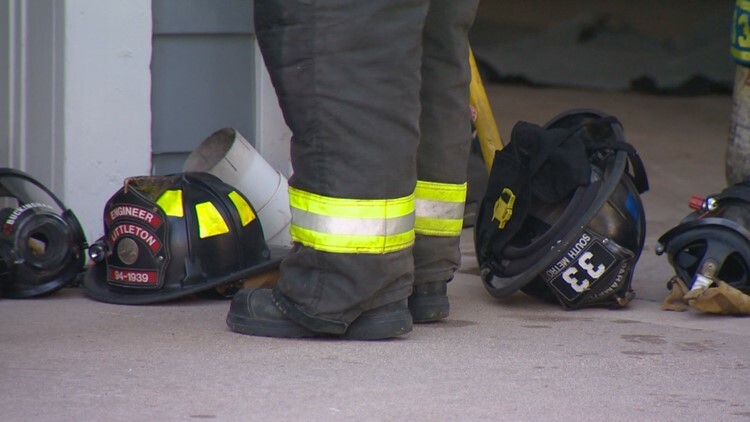 The National Institute of Occupational Safety and Health recently did two studies and concluded firefighters face a 9 percent increase in cancer diagnoses and a 14 percent increase in cancer-related deaths compared to the general U.S. population. A battle their families are also facing. Troy Jackson and his wife Lori are high school sweethearts. They and their kids make it a point to always look forward while only occasionally looking back. “I probably call the old phone once a month just to hear it,” Lori said. She does it to hear her husband’s old voice. It was permanently changed when surgeons took out 3 inches of his trachea. 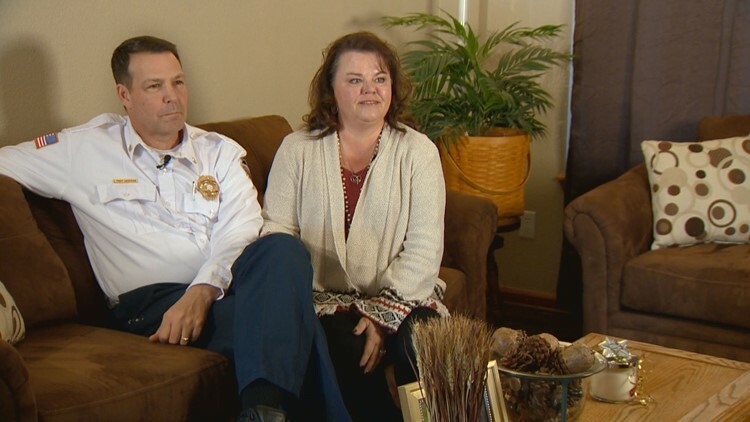 The chief and Lori looked into their future when fellow firefighter Mike Freeman died from brain cancer last year. The chief handed Freeman’s family a flag, knowing one day someone will have to hand one to his. “You don't know how much longer you have to be with each other,” he said sitting next to his wife. The chief and his wife are turning the time they have left and what’s been handed them into the chief’s new legacy. “Everyone wants to live forever. More importantly, while you are here you want to have an impact and I feel like I'm having an impact,” Jackson said. His new badge of honor is keeping people healthy. A badge of courage he’s happy to bear. “Even if I only help one person not go through chemo and radiation and live through a cancer diagnosis, I'm ahead of the game,” he said.